Did you have no time for any hair braid experience? Haven’t you learned to know the basics of some simple hair braid hairstyles? like the fishtail braid, If you’re the answer is no, you are not alone. But, you can lessen your ignorance by learning how to create one of the easiest ways to pull off a hair braid – the fishtail braid. You don’t need to be an expert in hairstyling to master this braiding method. You only need your hands, a hair tie, and a little patience. No tools or any other hair styling products required here, just pure skill and knowledge in braiding. If you’re now ready to stretch out those hair ties and reflex your fingers then you’re good to go and begin doing your French braid creation. 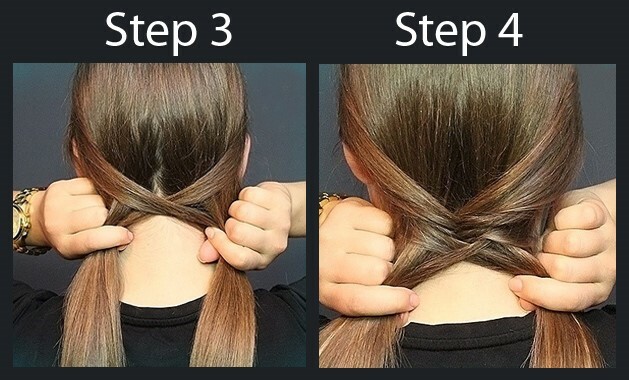 To start, collect your hair into a ponytail at the nape of your neck. To do this, use an elastic hair tie so you can easily cut it away using scissors. According to hair experts, if starting to do a fishtail bothers you, first secure your hair with a classic ponytail. This will let you go along smoothly when you start to weave. 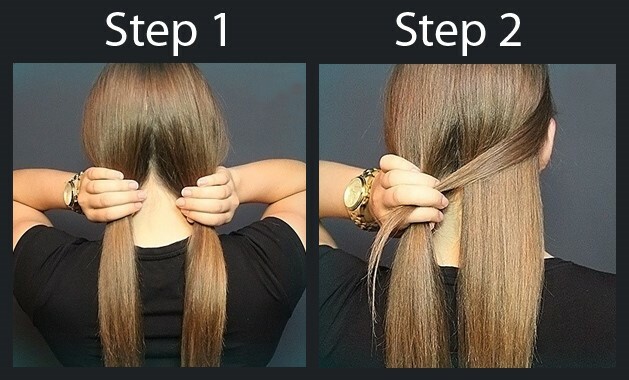 After gathering your hair for a ponytail, split your hair in an even manner into two separate parts. 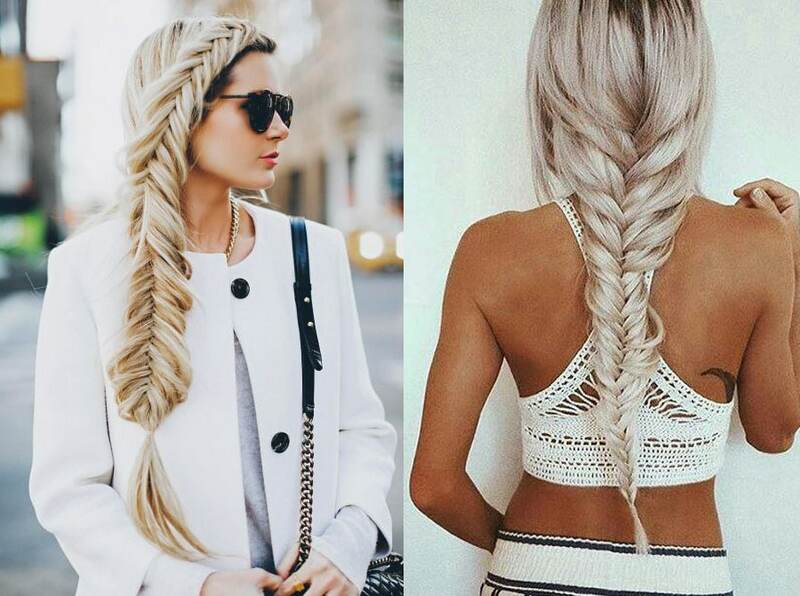 Not like other hairstyles, the Fishtail braid only need two separations. With the help of your fingers, gather some small section of your hair from the outer edge just close to your hair tie and cross it over to the opposite side of your hair. This is basically doing an overlapping turn just like a regular braid style. While still holding the two parts of your hair, grasp it again to make it tighter. Remember to take only thin strands when you weave with no thicker than a half inch. The key here is to make the right sizes of sections. You don’t want to pull a thick strand it will result to a poor plait. The smaller the sections you gather, the easier it is for you to make your rotations and have a bigger braid. Just continue doing the overlapping from both parts of the ponytail from top to bottom. If along the way you mess up a bit, don’t stop and just continue until you finish it. Messing up doesn’t mean you need to restart your work. So, if you mess it up in some instances keep going because these messes will just coincide and add texture to your fishtail braid. Moreover, this flawlessness will mix up with a fresh and youthful style with your finished hairstyle. However, before you tie the braid, squeeze the bottom part with your other hand and the middle section with the other. This squeezing will help in loosening the braid with the help of your hands and fingers. And if you’re ready to tie, just do it in a regular tie. If you’re already done with your braiding, finish it by securing the braid with the help of your elastic hair tie. 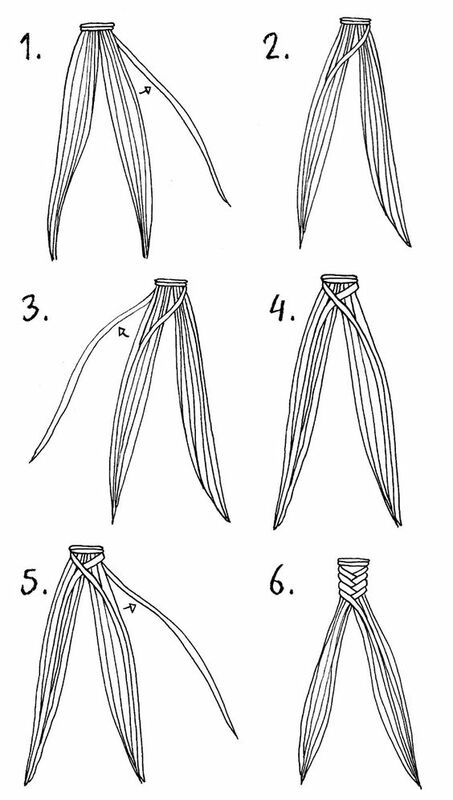 To cut the tie, carefully use scissors to do this while slowly reveal the finished Fishtail braid using your fingers. In addition, if you wish to braid up to the bottom part of your hair, where the thinnest strands are located, your plait will certainly appear thin as well. Instead of doing this why not secure your hair tie with at least three to four inches without a braid. Just put some glossy hair polish on it to make it appear extra polished. 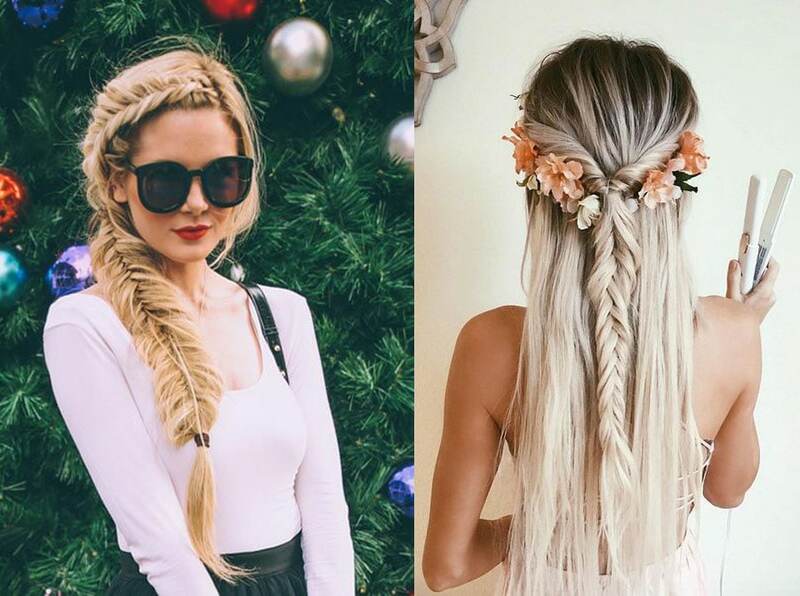 When talking about most fishtail braids, everyone loves staring at this excellent hairstyle design. However, it’s not always easy to learn and flaunt this unconventional hairdo in reality. 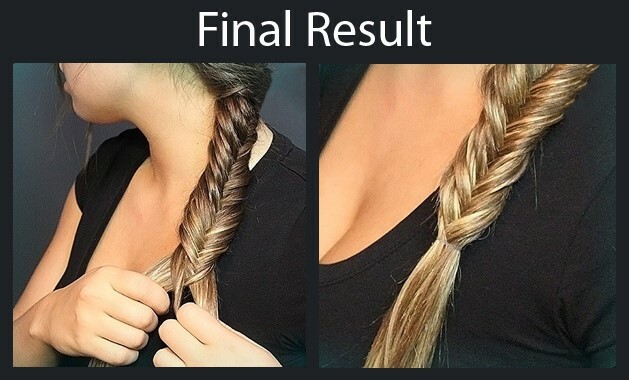 Most women just have until three strands of hair braid that they can do, but when speaking of going for complete braiding it’s totally a different story. There are various hair braid styles you can choose from waterfall hairstyles, French, fishtail and many more you can definitely be confused which one to use. But, for a fishtail braid method, you can look as dainty and classy as you can be once the entire hair is fully braided.